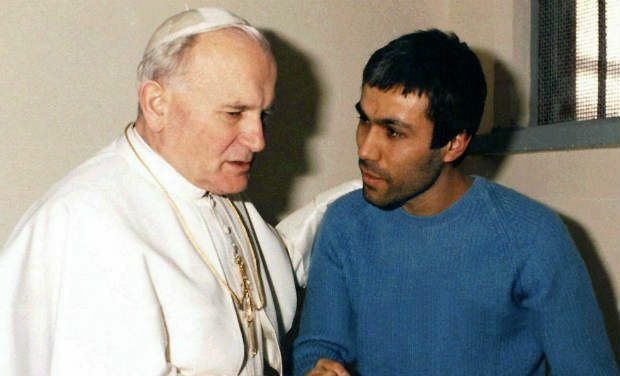 Vatican City: The Turk who shot pope John Paul II in St Peter's Square in 1981, claimed in a new book on Friday that the founder of the Iranian revolution, the late Ayatollah Ruhollah Khomeini, told him to do it. Mehmet Ali Agca, a former far-right extremist and Islamic fundamentalist, said he was ‘indoctrinated’ in Tehran after escaping from a Turkish prison where he was serving time for killing a journalist. At a night-time meeting with Khomeini, Ali Agca said the Supreme Guide of the Iranian revolution told him to kill the Polish pope - who was badly wounded but survived the assassination attempt. "You have to kill the pope in the name of Allah. You have to kill the devil's mouthpiece on earth," Ali Agca said the Ayatollah Khomeini told him. Following his arrest, Ali Agca initially said the assassination attempt had been organised by the Soviet KGB and a group of Bulgarian diplomats. He has since been diagnosed with mental problems. Ali Agca also gave details of his meeting with John Paul II who famously came to visit him in his cell in a Rome prison in 1983 and forgave him. ‘Who ordered you to kill me?’ Ali Agca said the pope asked him, promising not to reveal the secret. After Ali Agca told him, he said that the pope told him: "As I forgive you, I forgive them too." The reformed extremist said he had ‘lived for years in the error of Islamic Nazi-Fascism’ ever since he was a child and now recognised that ‘Jesus Christ was the best person who walked the earth’. The 55-year-old served 19 years in prison in Italy for the shooting and was then deported to Turkey where he served another 10 years. He was released in January 2010.